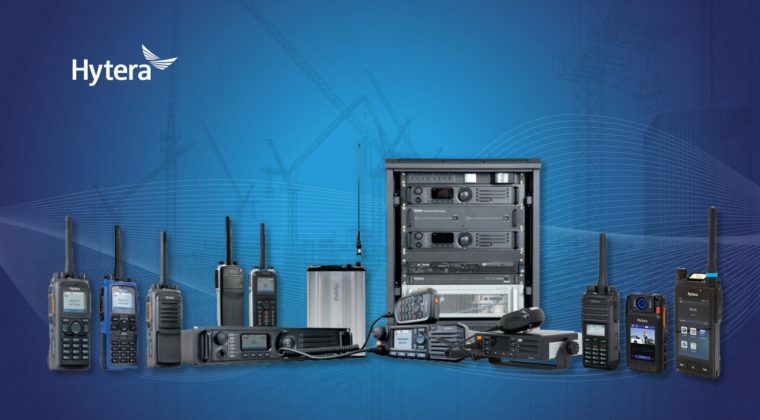 If you are considering investing in a DMR Tier II conventional radio system it is important to consider whether you may want to expand it at a later date. Hytera makes this easy as its DMR portfolio is designed in modules, allowing you to add on elements and services as and when you need them. If you really need to expand capacity and functionality then the portfolio enables you to make a seamless migration from conventional to trunked networks. Depending on the number of subscribers you need to support, the coverage area you require and the types of application you want to use, you may need to deploy one or more repeaters. If you then need to expand coverage and capacity you can add more repeaters and link them together using Hytera IP Site Connect and IP Multi-site Connect. Hytera IP Site Connect and IP Multi-site Connect allows you to link repeaters in different areas and enables them to switch voice, text and data packets over a TCP/IP-based network. It enables users to roam over a wider area and achieve seamless handover between repeaters. These solutions provide a cost effective way for you to expand your network without having to make the leap to a Tier III trunked solution. Hytera also offers two other ways to expand the capacity and coverage of DMR Tier II conventional radio systems in the shape of: Hytera Simulcast; and Hytera XPT (Extended Pseudo Trunking). You could refer to XPT as DMR Tier ‘2.5’, as it provides a bridge between Tier II and Tier Ill. XPT allows you to double your radio capacity using your existing spectrum resource, but without the cost of having to deploy a centralised system controller, as you would with Tier III. XPT allows you to better manage your spectrum resource as the repeater automatically allocates free channels to the radio users like a Tier III trunking system does, rather than forcing you to queue for a single designated radio channel as with Tier II conventional systems. If you think you might need to expand to XPT in the future, then it is worth investing in Hytera DMR RD985S repeaters in the first instance. All the XPTfeatures are already built in, so there is no requirement for a firmware upgrade for either the repeaters or the terminals for that matter. All you need to acquire is an XPT license for the repeaters. Once again, this is very cost effective and simple way to expand the capacity of your radio network. Hytera’s DMR Simulcast solution is really aimed at users who want wide-area coverage, but whose frequency resources are limited. It enables you to simultaneously transmit the same signal with the same modulation from two or more repeater sites on the same frequency. Just one frequency pair is needed for the base stations or repeaters in the network. Simulcast is a very efficient way to expand coverage without having to add more repeaters or acquire more frequency licences (if any are available). Beyond these ‘interim’ Hytera solutions, the next step is to move up to a DMR Tier III trunking system. Tier III is generally aimed at customers with 100 or more subscribers, where there is a large volume of traffic to support, and where a broader set of features is required. Tier III also provides more options for you to build in greater levels of redundancy to increase system security, availability and reliability. If you do invest in a Tier III solution then you have scalability built in from the start, as Hytera’s solution is scalable from a single site up to multi-sites of 50 or more base stations. It is also worth noting that if you are intending to scale up, it is important to check what frequencies are available in your area. Your certified Hytera dealer can advise you on frequencies and procure your licence from the regulator. Finally, it is also worth pointing out that Hytera offers a range network management solutions, including Smart Dispatch and SmartXPT, while the Hytera SmartOne unified communications platform and Hytera DWS Dispatch offer a range of solutions and applications in modular format. Hytera’s modular approach and range of options provides a great deal of choice and flexibility for customers. You only need to purchase the infrastructure, radios, accessories and applications you need at the time, but by adopting the right approach you can easily add on other applications and solutions in the future.